A teenager, sentenced to a Community Payback Order, has been warned than any non-compliance will cost her her liberty. Eighteen-year-old Caitlin Thomson, of Leishman Place, admitted assaulting three police officers at a house in Eildon Road on September 25 last year. 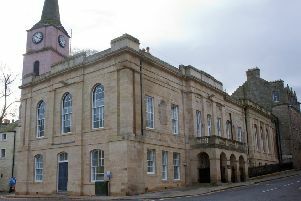 Jedburgh Sheriff Court heard she kicked a male officer and a female constable on the leg, and then bit another officer on the leg. Thomson was sentenced to a 12-month Community Payback Order with 60 hours of unpaid work.